This book presents descriptions and colour photographs of over 100 species of trees and bushes from all parts of the globe. It also explores their utility as a renewable resource, prized for the ease with which they can be worked, their strength, versatility and above all their beauty. The physical features of different types of wood underline their structural characteristics, while their mechanical properties and availability have made wood a natural material for building all sorts of goods, including structures, furniture, tools, vehicles and decorative items. 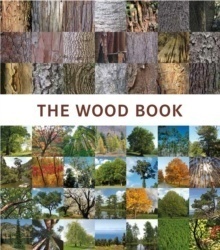 A useful source for architects, builders, product designers, carpenters and everybody with a special interest in wood.